KSRealityBites: Ban imposed on Ayurvedic products by EU! Ban imposed on Ayurvedic products by EU! Ayurvedic medicine is basically a system of traditional medicine native to India & practiced in other parts of the world as a form of alternative medicine. In a shocking development, the European Union (EU) has imposed a ban on all Ayurvedic products across Europe with effect from Sunday. The sale of stock ordered before the ban has been allowed. The ban will serve as a big blow to the emerging ayurvedic market in Europe. A large number of patients in Europe depend on Ayurvedic medicines due to the cost & side effects of allopathic medicines. Europe has thousands of ayurvedic clinics & practitioners. They will be badly affected. The same will be in case of the patients, who 've been relying on the traditional ayurvedic treatment! European Union has introduced a directive that bans sale of Ayurvedic medicine from May 1. 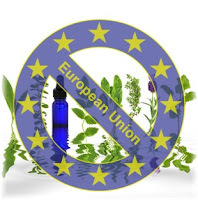 The directive that is effective from May 1 states that Ayurvedic & other herbal medicines will need to be licensed under EU directive passed in 2004. The products marketed before 2004 can continue to market till April 30, 2011. The resistance for this EU directive has come from users and promoters of Ayurvedic medicines & referred Traditional Herbal Medicinal Products Directive, 2004/24/EC from EU as “discriminatory & disproportionate”. Ayurvedic medicine has been in practice from ages. The news does not give the basis for EU directive, whether it was triggered by any adverse event or just a mandate put forth by EU. Does this directive mean that Ayurvedic medicines 've to go under clinical trials like drugs developed by pharmaceutical companies? What do you think about the EU directive, voice your opinion in our comment section.